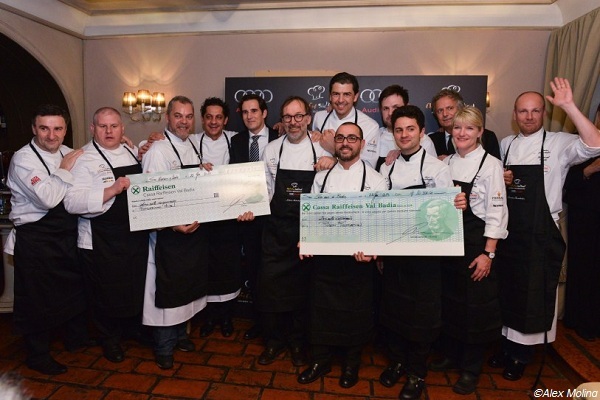 January 31st , 2013 – It just ended with great success and a total of more than 1,000 visitors, the eighth edition of Audi Chef’s Cup Südtirol, the festival of haute cuisine, sport and lifestyle in Alta Badia organized by MK Eventi & Comunicazione. 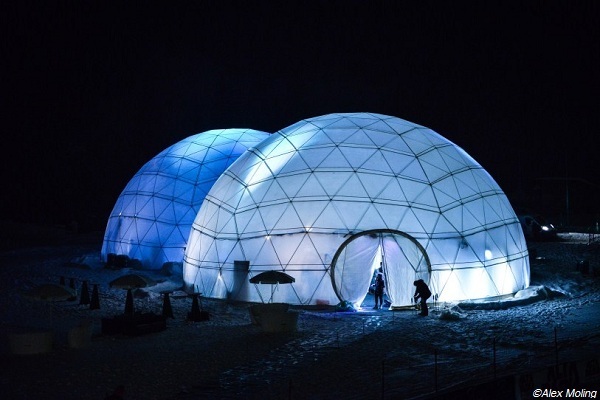 This year, the event brought together 68 chefs, including Michelin stars (for a total of 33 stars), Jeunes Restaurateurs d’Europe and emerging talents. 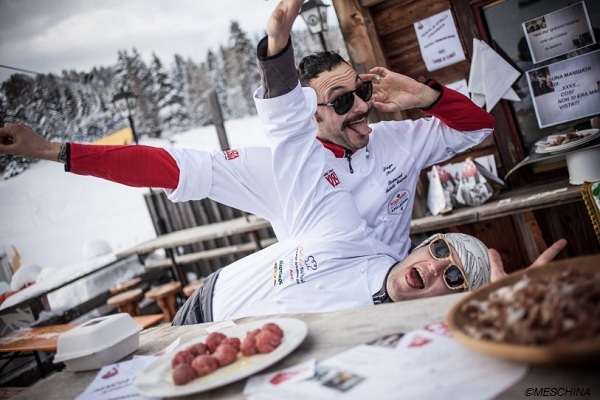 One of the funniest moment in the eternal struggle on the ski has been between Andrea Berton and the landlord Norbert Niederkofler during the Acqua Panna / S.Pellegrino Chefs’ Ski Cup, that, this year reaffirmed the chef of South Tyrol as the winner ! Moments of haute cuisine, the Gala Dinner on 22nd and Closing dinner of 25th , which have hosted a total of 250 people took turns to fun and tasty events that have attracted not only the food lovers: from the delicious Nespresso breakfasts, that have hosted exceptional pastry chefs as Ernst Knam and Pascal Piermatte, to the Slope Food – Pasta Party by Felicetti, from Pic Nic on the terrace by Ferrari at the hotel Ciasa Salares, to the Street Food at high altitudes at the Refuge Ciampai, where the young promises of Italian cuisine, including Lorenzo Cogo*, the youngest Michelin-starred chef in Italy and Jury Chiotti * and Diego Rossi*, Restaurant of Antiche Contrade of Cuneo, have interpreted the street food in a gourmand way. And yet, the show cooking, one of 43 throughout the week, led by the chefs of the region of Umbria with Radicchio and Truffle recipes, the Gourmet Safari, a culinary journey among the restaurants that represent the excellence of Alta Badia, the “four hands” dinner at the Refuge Col Alt and the wine and biodynamic products tasting. Appreciated and always “full” even the 5 cooking classes held by the chef Norbert Niederkofler and Fabio Cucchelli in their restaurants, respectively the St. Hubertus and the Siriola, with the unexpected presence of Moreno Cedroni** , from the Restaurant Madonnina del Pescatore, Senigallia (AN), sudden and welcome guest at the cooking class by Fabio Cucchelli on 24th of January. 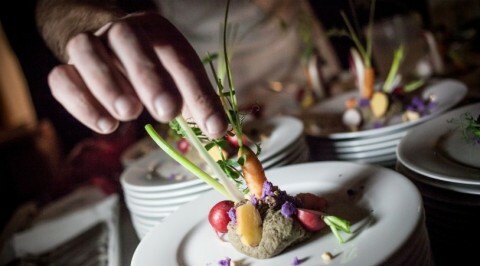 Sold out also for the charity dinner on Tuesday, January 22nd. The proceeds (21,000 euros) this year were donated to the Fondazione Milan and the Podini Foundation, to support, respectively, social projects and provide assistance to the residents of Alta Badia, affected by the landslide that took place last December. Finally, the closing dinner on Friday 25th greeted this edition with an exceptional menu prepared by top international chefs at the highest level.